Just wanted to write a quick little note to say "Yay Me!" 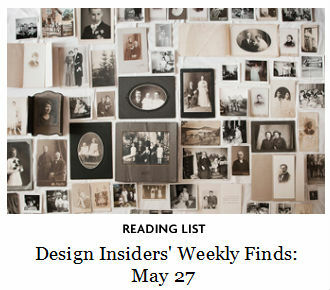 and thank Elle Decor for inviting me to contribute their Design Insiders' Weekly Finds post. I was flabbergasted that they even knew who I was, let alone allow me to be counted among the other five contributors for this week. Very cool. Way to go!!! That is amazing! Oh wow! Congrats to you darling! That would be one of the highest honors. You deserve it!